﻿The origins of the Dundarave Nativity remain a mystery. Carved of old growth cedar, this setting depicting the first Christmas has been at the centre of the season in West Vancouver for generations. The carvings show the serenity and universality of that moment, in faces composed to evoke the features of an Aboriginal Holy Family with Angel, Shepherd and Kings of every race. The original carvings have been painstakingly restored by Master Carver Bill Seminoff. Over hundreds of hours, Bill has made this a labour of love, working to the completion of the setting with a new figure, King Melchior, in the Festival's last season. This season he will unveil the latest addition to the Dundarave Nativity. 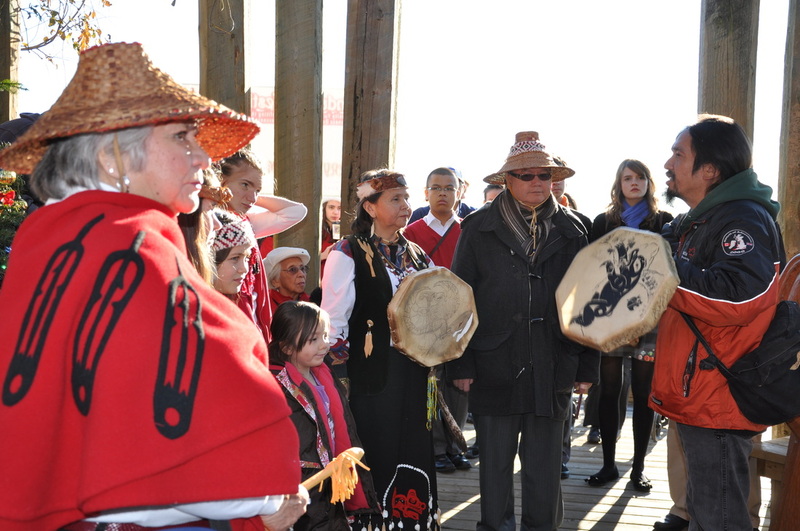 The new carvings have been made possible through the generous gift of two tons of red cedar from Timberwest.